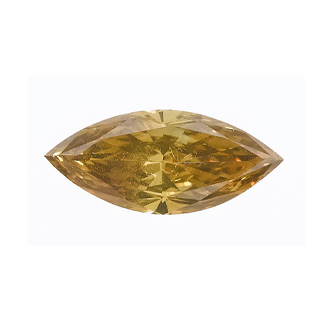 With a weight of 1.18 carats, the marquise shaped deep yellow brown diamond has a subtle coloring and a clarity of SI2. With dimensions of 11.71x5.18x3.16, it is ideal as the centerstone in a ring - most probably as a standalone solitaire. Also ideal for pieces of other kinds.